Is it time to replace your kitchen sink or upgrade to a new shower head? Sandri Plumbing is the top choice in Western Massachusetts for plumbing hardware replacement, repairs, drain cleaning, and more. 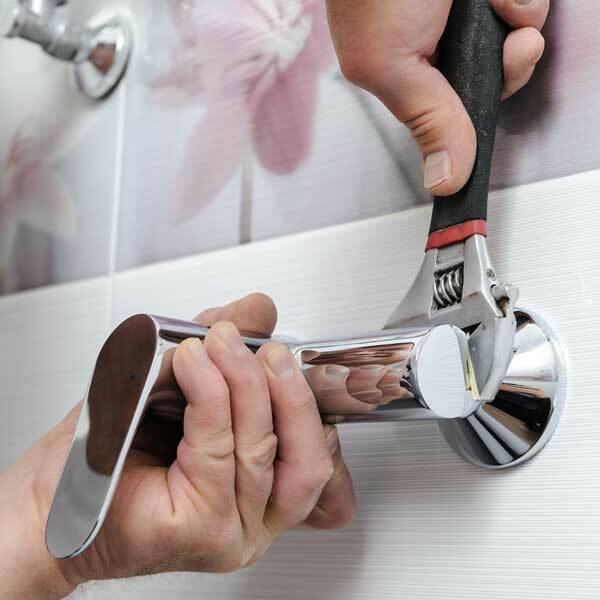 Our staff of licensed, experienced plumbers is available to make replacing your plumbing hardware as simple as can be. Just give us a call and we’ll take care of the rest! At Sandri Plumbing, we understand that our customers rely on their plumbing equipment to keep daily life running smoothly. The last thing any homeowner or business owner wants to endure is a lengthy plumbing project! Our top priority is providing quality plumbing service as efficiently as possible. When you choose Sandri Plumbing to complete your next plumbing hardware installation or replacement, you can trust our licensed plumbers to complete your project safely and on schedule. It takes more than superior plumbing service to complete your next project to your total satisfaction. Sandri Plumbing takes care to source plumbing products from only the best manufacturers on the market. This way, you can count on your new sink, faucet, or toilet to perform to your liking for years to come. Ready to start your next plumbing project? Call Sandri Plumbing at (800) 628-1900.